Sit back in mid-century elegance with the Datsun armchair. 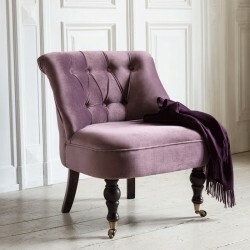 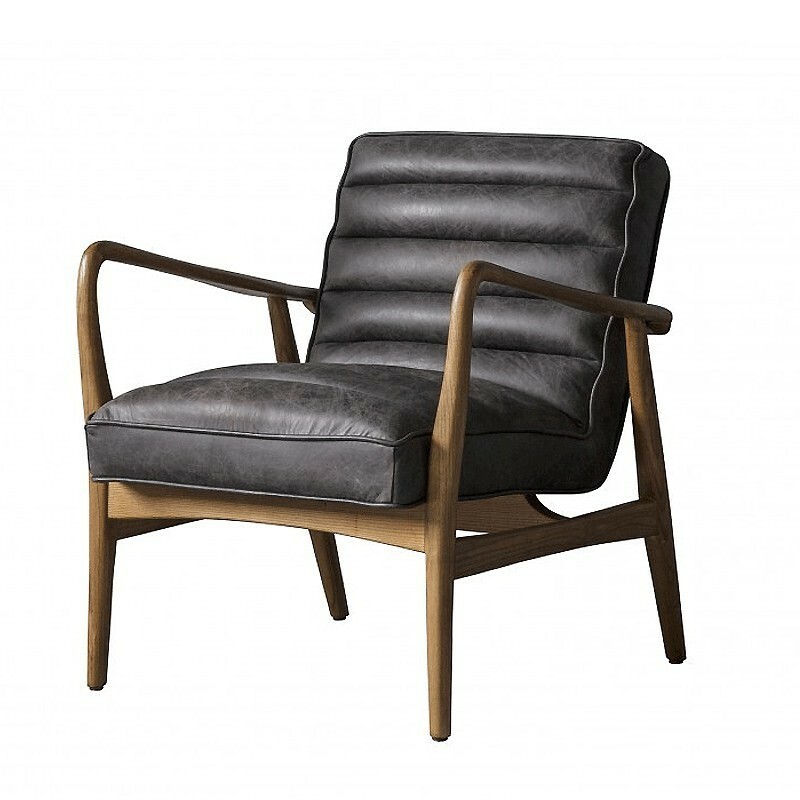 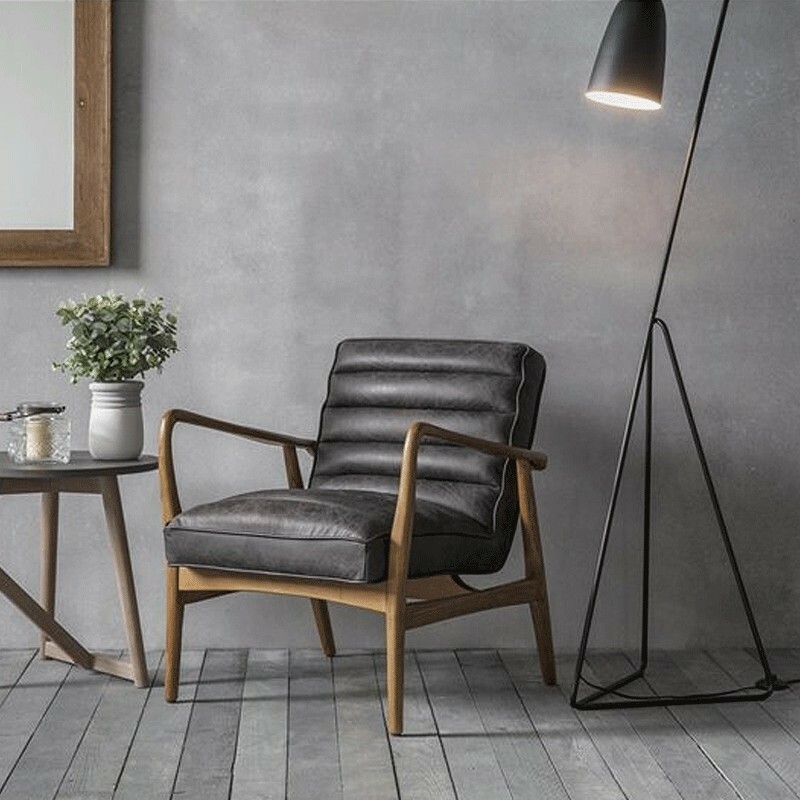 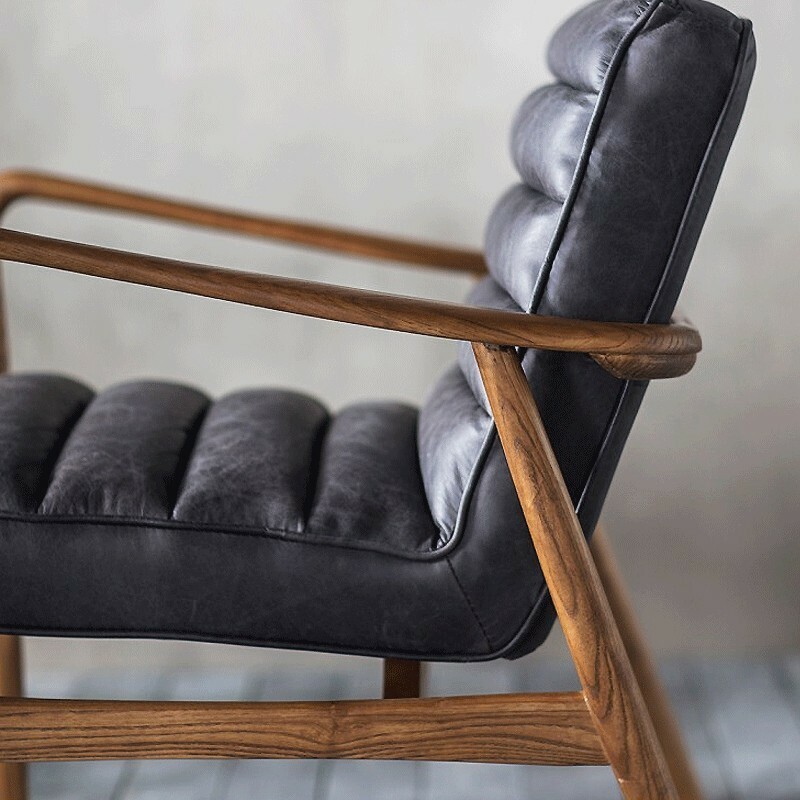 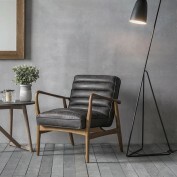 This gorgeous armchair is upholstered in real leather, complementing its eye-catching solid wood frame. 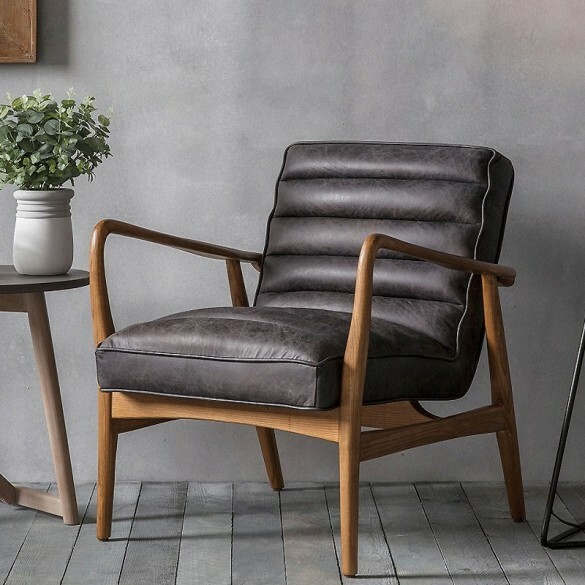 Highly supportive and comfortable thanks to a slightly tilted back cushioning, the elegant geometry of the Datsun’s frame will be a real talking point.This beautiful armchair will add retro style to any living area.